Adding spirulina to falafel could yield the next superfood was reported by Naama Barak on Israel21C.org, 6 January 2019. Israeli students find a blue-and-white way to help introduce protein-rich algae into daily diets. With the world’s population expected to rise to a staggering 9.8 billion by 2050, the question arises how to feed everyone nutritious, healthy food without ruining the planet’s resources. A surprising solution might be found in a food that was eaten by the Aztecs hundreds of years ago: spirulina. While nowadays better known in the form of dietary supplement pills and superfood powders, spirulina is in fact a biomass of blue-green algae. It was a daily food source in the Americas until the 16th century, when it lost popularity as lakes were drained for agriculture and urban development. Spirulina produces its own food by photosynthesis, and its cultivation requires much less land and water than that needed by cattle or poultry, making it an eco-friendly alternative to feed the world. It’s also so nutritious – dried spirulina contains 5 percent water, 8% fat, 24% carbohydrates and around 60% protein – that it’s been suggested as dietary support for long-term space missions. But how to incorporate it into everyday diets? 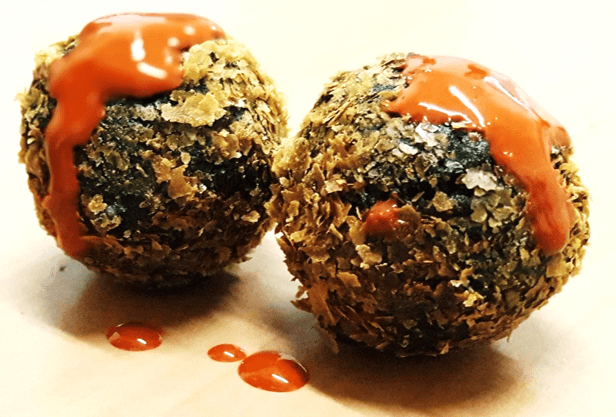 A team of graduate students from the Technion-Israel Institute of Technology found one very Israeli answer to that – a falafel enriched with spirulina. For an extra kick, they served it with tahini enriched with astaxanthin, a health-promoting compound found in certain algae and seafood (it’s responsible for salmon’s reddish color and flamingo feathers’ pink hue). Artificial Sweeteners, Not Good, Not Bad, as reported by Nicholas Bakalar in the Eat Section of The New York Times, 9 January 2019. Sugar substitutes offered no health benefits, but they didn’t do any harm, either, a review of studies found. This is good news! health benefits, a large review of studies found. But it found no proof that they do any harm, either. Researchers looked at 35 observational studies and 21 controlled trials of nonsugar sweeteners in children and adults. 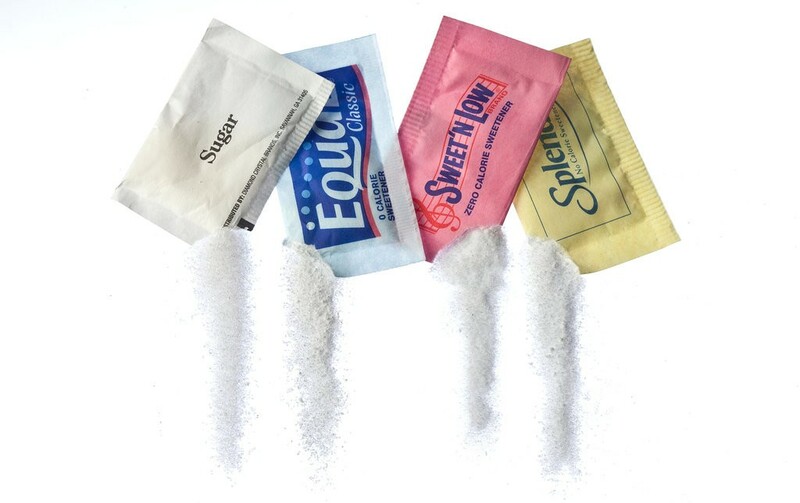 Some compared intake of sweeteners with no intake; others compared lower with higher intakes. They found no convincing evidence that nonsugar sweeteners had any effect in adults on eating behavior, cancer, cardiovascular disease, kidney disease, mood, behavior or cognition. The study, in BMJ, did find a slight benefit in promoting weight loss and improving fasting blood glucose levels, but only in small studies and over short periods of time. 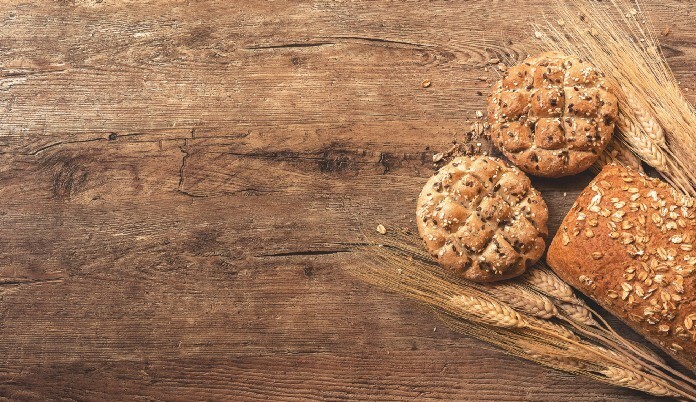 In Defense of Whole Grains was written by Andrew Merle for Medium Lifestyle, 6 January 2019. He reports that while It is true that cutting out grains will help with weight loss in the short term, eliminating whole grains is detrimental to long-term health. The evidence clearly shows that whole grains promote health and should be a part of any effective eating plan. Specifically, eating just 2–3 portions of whole grains per day has been shown to reduce the risk of getting a heart attack or prematurely dying of heart disease by 30%, and lower the risk of all forms of cardiovascular disease (heart attack, stroke, or the need for a procedure to bypass or open a clogged artery) by 21%. Those numbers mean that eating enough whole grains daily is as powerful as high blood pressure medications in alleviating hypertension. Considering 75 million American adults have high blood pressure — one in every three American adults — we would be smart to consume more whole grains, not less. But whole grains do much more than just lower blood pressure. Eating at least 70 grams of whole grains daily has been shown to lower the risk of total mortality by 22% and reduce the risk of cancer mortality by 20%. Whole grain consumption has also been shown to lower cholesterol and protect against inflammation in the body. 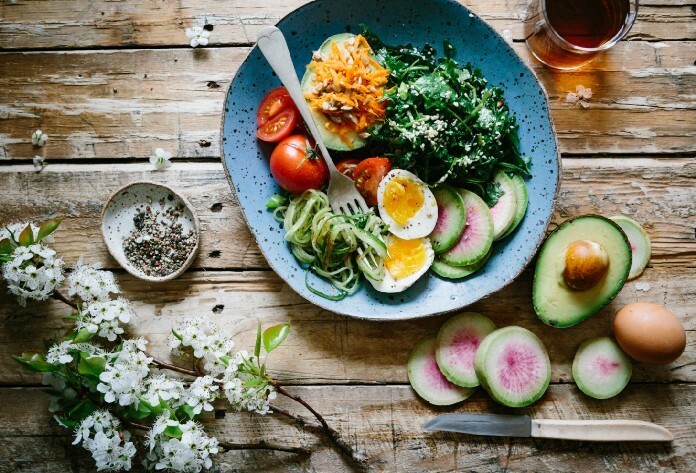 4 Things You Should Know About the Keto Diet was reported by Gianna Cifredo for Medium Lifestyle, 16 November 2019. If you are considering a keto diet, or if you’ve heard of it but don’t know what it is, or if you’ve tried it but it didn’t work, this article is for you. The keto diet is championed as the best way to lose weight and some people go so far as to say that it’ll improve your thinking and sleep and joie de vivre. While some people have experienced great success accomplishing their health goals, many people don’t, and it’s not their fault that the diet isn’t working. The keto diet being a fad diet, with cute meal plans made by well-intentioned bloggers on Pinterest that aren’t grounded in research. It’s an old diet that was used as an epilepsy therapy but now shows promise as a weight-loss therapy. It’s unsustainable and unrealistic for most people. The studies supporting the keto diet’s benefits are often not long-term, and lack diversity in terms of the age and pre-existing health conditions of their participants. In the Future, Your Food Will Be Sweetened With Protein was written by Boyd Farrow for Medium Future, 10 January 2019. 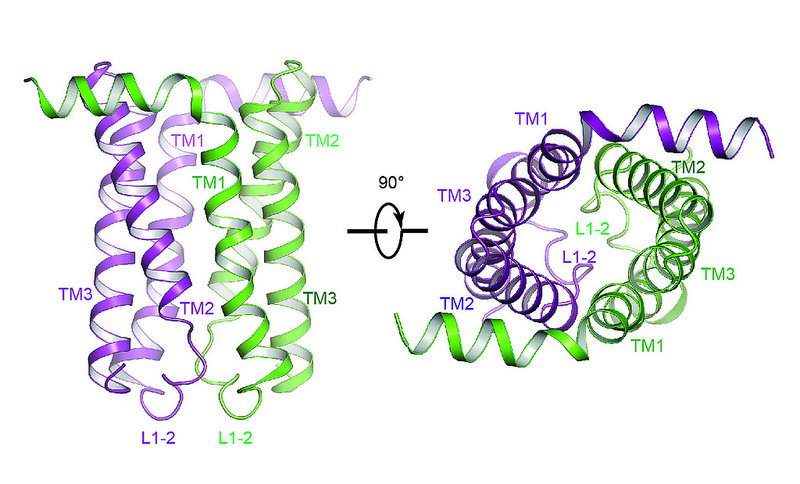 In a modest lab located in a Tel Aviv suburb, scientists at food tech outfit Amai Proteins are creating protein molecules out of a rare tropical plant that can taste thousands of times sweeter than sugar. The company claims that by fermenting these proteins in microorganisms, such as yeast, it can produce a brand-new sugar substitute without the side effects of existing alternative sweeteners, some of which have been shown to be carcinogenic or cause weight gain. Roasted Squash With Turmeric-Ginger Chickpeas sounds delicious, as posted by Yewande Komolafe in the Cooking Section of The New York Times. Comment from a reader: Easy on the garlic. IMHO the red onions are not needed — and I like onions. Also be sure to add the dollop of yogurt. Mint and cilantro would be an excellent herb combo. On whole grains…I used to love them, but had to leave them. Seems like all grains are either GMO or dried with Glyphosate. Organic grains may be a better option for those who can handle them. I don’t do well with post-grain glucose rise, so I just choose veggies, organically grown, and grass-fed animal proteins. No spike, and smooth blood sugars. I have been using Sweet and Low since I was child. It was the one thing that allowed my family to have something tasty that we could all share. I have never had any misunderstanding that it is particularly healthy. I am thrilled however that no major damage has been done.